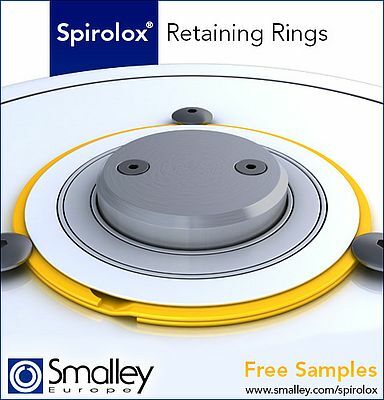 Smalley has over 6000 Spirolox® Retaining Rings in 302 and 316 stainless steel from stock in 6 mm to 400 mm diameters. Customs can be manufactured from 5 mm to 3000 mm. Smalley's manufacturing process allows for the economical production of stainless steel retaining rings. Spiral type retaining rings are interchangeable with standard snap ring grooves and have No Ears To InterfereTM with the assembly. Free samples are available of stock parts to test in your application.